While primarily involved in marine OEM market, Acryplex also services a wide variety of industries including interior design, displays, printing / signage, catering and event planning restaurants, medical equipment, etc. Acryplex, Inc. is a third-generation family business specializing in acrylic fabrications. As a custom OEM manufacturer, we are dedicated to providing the highest quality products along with exceptional customer service. While primarily involved in marine OEM market, Acryplex also services a wide variety of industries including interior design, displays, printing / signage, catering and event planning, restaurants, medical equipment, etc. With over 45 year of experience, in-depth knowledge, and an amazing team, Acryplex can help create and customize any acrylic project that meets your specifications. Acryplex specializes in servicing the needs of various industries from museums to restaurants and much more in between. Our knowledge and expertise ensures we can design and create your most intricate acrylic projects. From simple tabletop covers and cutting boards to one-of-a-kind designs, we can make your ideas into reality. At Acryplex, we are dedicated to working with each of our customers to fabricate all of your acrylic needs. 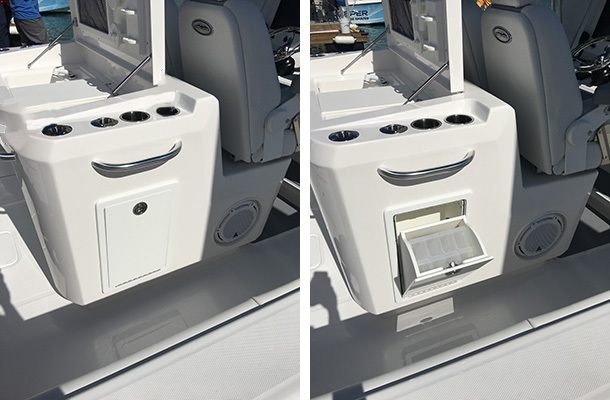 As a Bertram Yacht carpenter in the early 1960s, Pedro de la Fe’ found a niche and need in the acrylic fabrication business and opened the company to service the boating industry. In the 1980s, his son-in-law, Tomas Lastra, used his business and sales expertise to expand the company and quickly established it as a major acrylic manufacturer in the South Florida area. Today, under his daughter, Aileen Lastra-Mejia, Acryplex continues to grow and expand into many diverse fields. We are committed to honor and uphold the quality workmanship and service that warrants its great history and reputation.